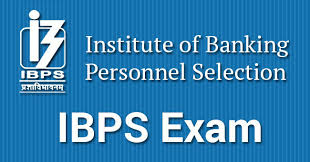 The Institute of Banking Personnel Selection has released the notification of IBPS RRB VII for the year 2018. According to this notification, the next online examination for the Common Recruitment Process for Regional Rural Banks (IBPS RRBs VII) for the recruitment of Officers (Scale I, II & III) and Office Assistants (Multipurpose) will be conducted by the Institute of Banking Selection (IBPS) between August and October 2018. The online examination will be held in two phases (preliminary & main). You can apply online from 8th June 2018 to 2nd July 2018. Other details are given below. Office Assistant (Multipurpose): Bachelor’s degree in any discipline from a recognized University or its equivalent (a) Proficiency in local language as prescribed by the participating RRB/s* (b) Desirable: Working knowledge of Computer. Officer Scale-I (Assistant Manager): (i.) Bachelor’s degree in any discipline from a recognized University or its equivalent Preference will be given to the candidates having degree in Agriculture, Horticulture, Forestry, Animal Husbandry, Veterinary Science, Agricultural Engineering, Pisciculture, Agricultural Marketing and Cooperation, Information Technology, Management, Law, Economics or Accountancy; (ii.) Proficiency in local language as prescribed by the participating RRB/s* (iii.) Desirable: working knowledge of Computer. Officer Scale-II General Banking Officer (Manager): Bachelor’s degree in any discipline from a recognized University or its equivalent with a minimum of 50% marks in aggregate. Preference will be given to the candidates having degree in Banking, Finance, Marketing, Agriculture, Horticulture, Forestry, Animal Husbandry, Veterinary Science, Agricultural Engineering, Pisciculture, Agricultural Marketing and Cooperation, Information Technology, Management, Law, Economics and Accountancy. Two years as an officer in a Bank or Financial Institution. Law Officer: Degree from a recognised University in Law or its equivalent with a minimum of 50% marks in aggregate. Officer Scale-III (Senior Manager): Bachelor’s degree in any discipline from a recognized University or its equivalent with a minimum of 50% marks in aggregate. Preference will be given to the candidates having Degree/ Diploma in Banking, Finance, Marketing, Agriculture, Horticulture, Forestry, Animal Husbandry, Veterinary Science, Agricultural Engineering, Pisciculture, Agricultural Marketing and Co-operation, Information Technology, Management, Law, Economics and Accountancy.